With my other half coming from the land of dim sum, it is almost in my DNA now to have a preference for Hong Kong cuisine. 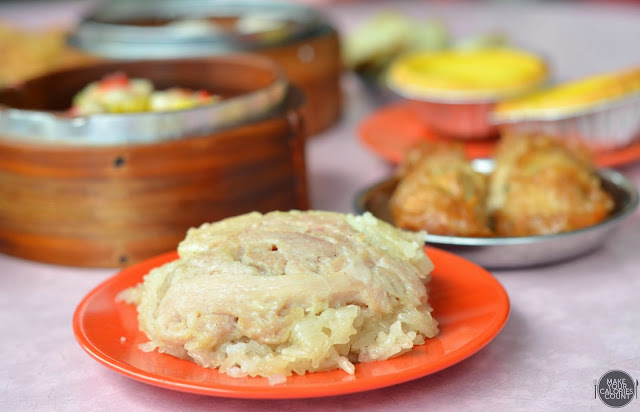 While Wah Lok and Man Fu Yuan remain as our favourite dim sum spots in Singapore, we are consistently on the prowl for other value for money places and quality dim sum restaurants. 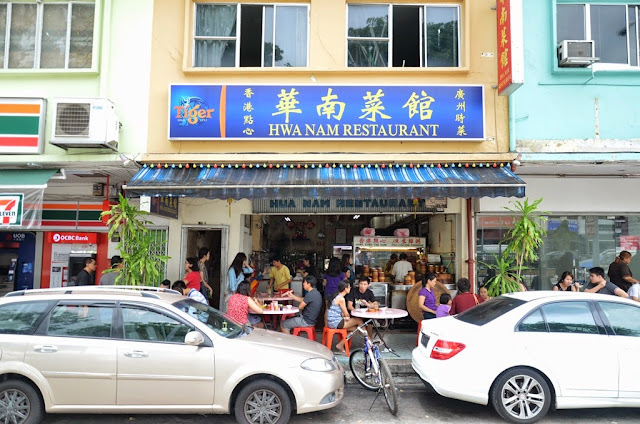 Hwa Nam Restaurant is not new to most Singaporeans, especially those who reside in the Sin Ming area as it was around since I was a kid. 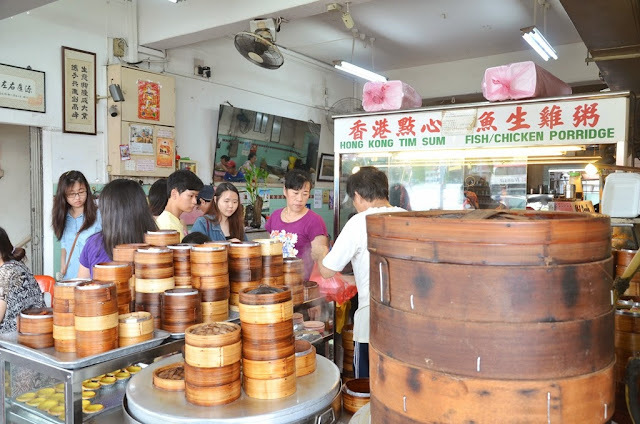 Expect long queues when you visit during the peak lunch and dinner times and this visit was no exception. It was somewhat hard to say we enjoyed the buzz of the crowd given that we were literally melting under the hot sun but the ambience is certainly one to bask in - Cantonese being shouted across the hallway between the uncles and the aged signboards! 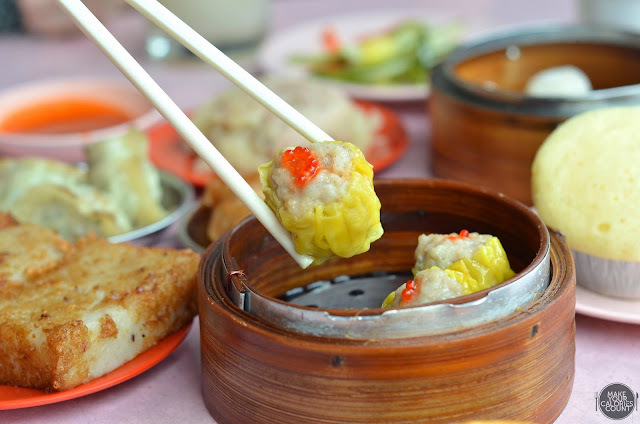 Siew Mai or pork dumpling is one of the must-tries at any dim sum restaurant as it is one of the classic dishes. 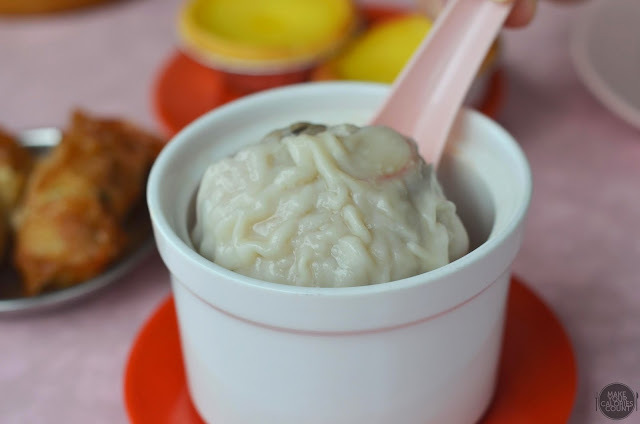 The juicy dumpling was packed to a thoughtful bite-sized portion which one could not help but just pop it into his mouth without a second thought. The seasoning was right and flavours spot-on, a good start already! 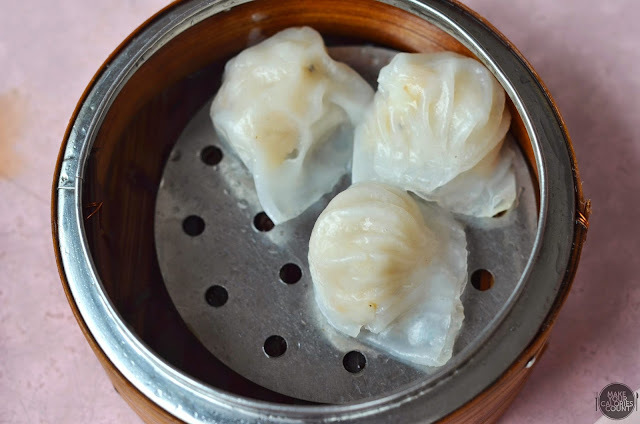 The har gau or prawn dumpling was delicately wrapped in a translucent wrapping and while efforts were paid to handle the dumplings carefully, the seasoning lacked depth and the dish tasted rather flat in flavours. A somewhat pedestrian version to our hopes of being a star dish. Moving from bite-sized to a gigantic dumpling, the daily special during our visit was this seafood dumpling which packed both minced meat and prawns. Apart from being an oversized dumpling, there was nothing too spectacular about it. 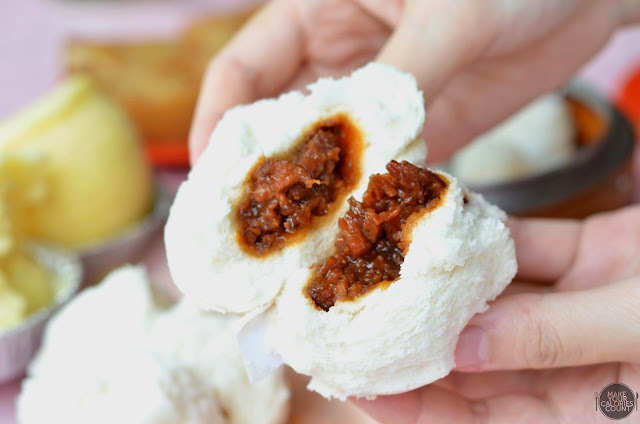 As we carefully pry open the soft and fluffy char siew bau, we beamed with joy as the fragrant minced barbecued pork was oozing with flavours and oomph. Definitely a must-try and I could not help but reach for a second serving! The glutinous rice filled with chicken was somewhat disappointing as flavours were pedestrian though the sticky rice was cooked just right. 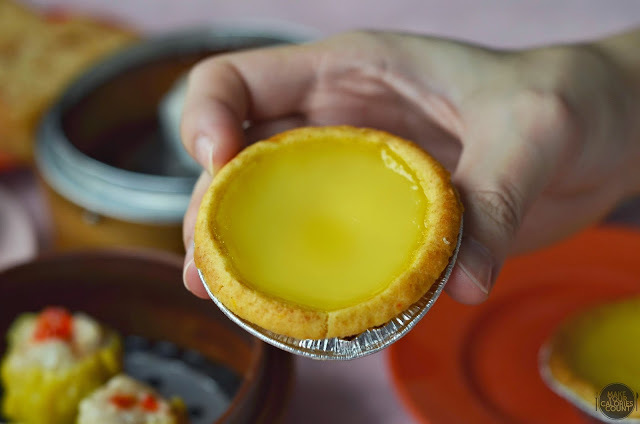 For egg tart aficionado such as tmcy, this was a worthy-try and while we generally prefer the pastry base, this was a decent rendition with a rich egg filling. 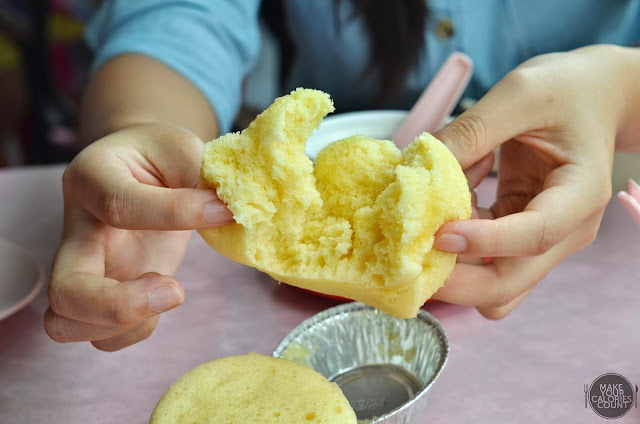 The steamed sponge cake or ma lai gao was a clear winner among the dishes as it was so fluffy and soft that almost melted in our mouths. A delicate pull would pry open the soft cake and release a lovely fragrance set to whet your appetite! With a couple of other dishes such as carrot cake, the bill came to about S$31.50 for the three of us. While it was not the best dim sum hideout with most of the dishes tasting pedestrian at best, the old school ambience is surely one to reminisce. It also felt as if we were catapulted to the 80s in Hong Kong and what is worthy of mention was that despite the busy crowd, the service was in fact decent and we were not pressed to relieve of our seats.